Pickersgill-Kaye, which became a trading division of ASSA ABLOY Limited from February 2017, has reported export sales for 2016 of £665,977 – with growing orders from the global rail sector for its emergency override mechanisms, safety critical solutions and train locking equipment. While down on the 2015 total the railway part of the business has surged ahead. Pickersgill-Kaye is confident that with the orders it currently has in the pipeline the business is well-placed following the announcement by ASSA ABLOY, the global leader in door opening solutions, that the Leeds lock manufacturer is to become a dedicated R&D facility and rail centre of excellence. ASSA ABLOY is investing in design staff, the facilities and technology at Pickersgill-Kaye to create the right environment for developing the next generation of specialist locking equipment that will help secure a larger share of an expanding global rail market which is expected to be worth £128bn by 2019 (source: Rail Supply Group). On the home front, Pickersgill-Kaye’s train locking products continue to be in demand, driven by significant orders for the East Coast and Great Western main line projects, while the firm is also experiencing further product sales in new markets for its range of high security locking systems for critical infrastructure sites and the custodial sector. 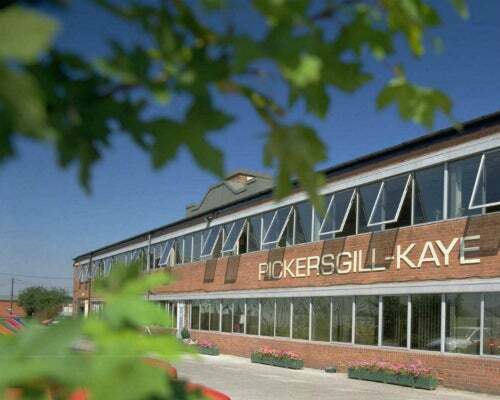 Managing director Simon Teagle, said: "Global sales are making an important contribution to Pickersgill-Kaye’s business. Its resilience has laid the groundwork over the years in very specific environments which has won significant orders for its products. Being part of ASSA ABLOY is opening new opportunities that will help drive further sales in export markets." With over 150 years’ experience supplying locking solutions, Pickersgill-Kaye’s manufacturing flexibility and commitment, now with the support of ASSA ABLOY, will help the company to compete and win further orders for high profile projects against often tough overseas competition.